Did you know that you can enter items in the Seminole County fair, no matter who you are or how old or young you are? The fair isn't just for FFA and 4-H kids, it's for everyone. 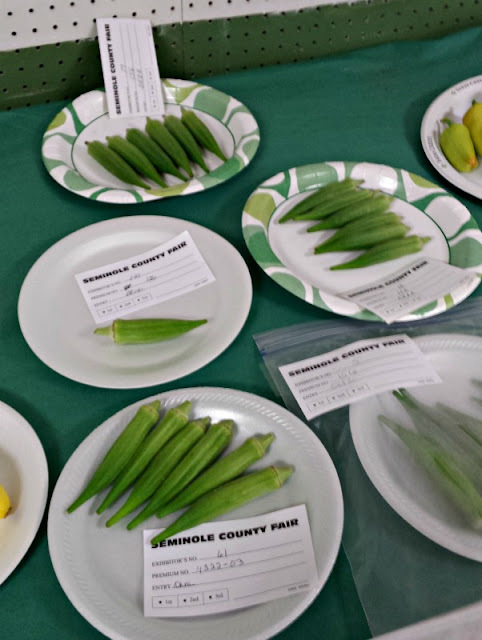 The Seminole County Fair has Open classes for anyone who isn't a 4-H or FFA member. Since 4-H and FFA members have club leaders and ag teachers to help them through the process, let's talk about the rest of us. Entrants must be a resident of Seminole County, or if you are a student, you must either reside in the county or attend school in our county. Your entry must be your own work; you can't enter something someone else has made. 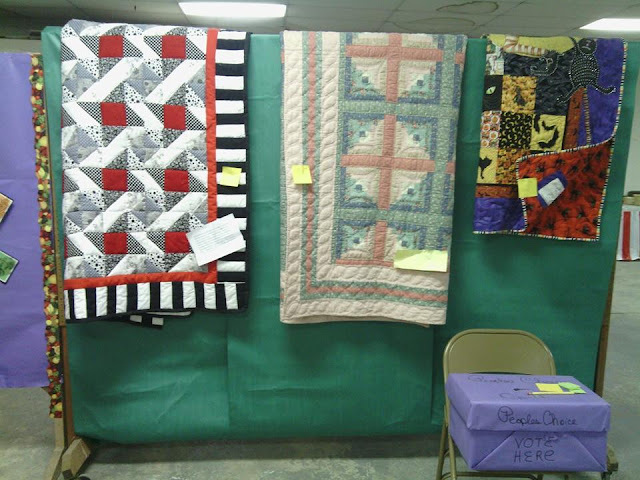 If you're an adult who knits, crochets, paints, takes photographs, gardens, makes jelly, works in wood or leather, and much more, you can enter your projects in the Open Division of the county fair. If you're a youth under the age of 18, some of our categories have an Open Youth Division. Do you raise livestock? We have Open divisions for cattle, hogs, sheep, goats, rabbits and poultry. Youth who are not 4-H or FFA members or are too young to be in these programs can show in the Open Division as well as adults. Youth and adults compete together in the Open livestock classes. If you want to enter livestock, please call the Extension Office at 405-257-5433 prior to the fair to see if vaccinations or other tests are required for your species. Read our current fair book: https://bit.ly/2vf8cSP. We've revamped it this year, added a few classes and have three new age categories in our Open Youth Crafts division. Just follow the link to find the book online. Read the instructions about the categories and classes you'd like to enter. Each division has rules regarding your entry's presentation. Non-livestock entries must be entered on Wednesday, September 5, 2018, between the hours of 8:30 AM and 6:00 PM. If it doesn't eat or breathe, you'll need to enter your project on Wednesday. 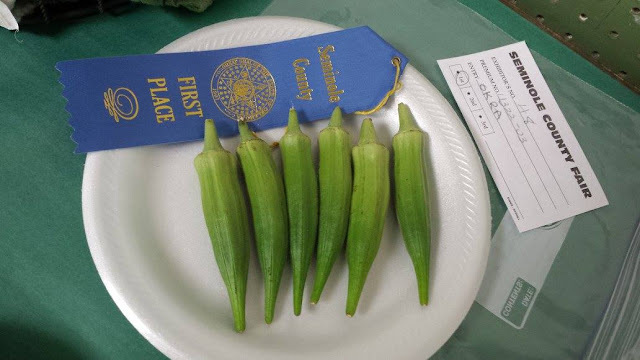 Livestock entries - cattle, hogs, sheep, goats, rabbits and poultry - must be entered on Thursday, September 6, 2018, between 8:30 AM and 7:00 PM. For non-livestock entries, bring your entries to the fairgrounds on Wednesday, September 5th. Our exhibit building this year will be the smaller stone building known as the HCE building - see the map here. Start at the fair secretary's table inside the building and give your name, address and phone number. You'll be given an exhibitor form and number. The volunteers will then help you with the paperwork to enter your items. Remember, your white exhibitor form MUST be turned in to the fair secretary after entering your items for your entry to be valid! For livestock entries, you'll need to pick up a form at the fair office inside the show arena on Thursday, then proceed to the livestock barns to unload your animals. Again, you MUST return your white form to the fair office afterwards so your entry will be valid. Poultry will be blood-tested in the poultry barn at a cost of 50₵ per bird. All entries are released on Saturday afternoon after the cattle show. If you have livestock entries, you'll need to clean their pens before you take them home. If you have any questions, call the Extension Office at 405-257-5433. What's your hobby? 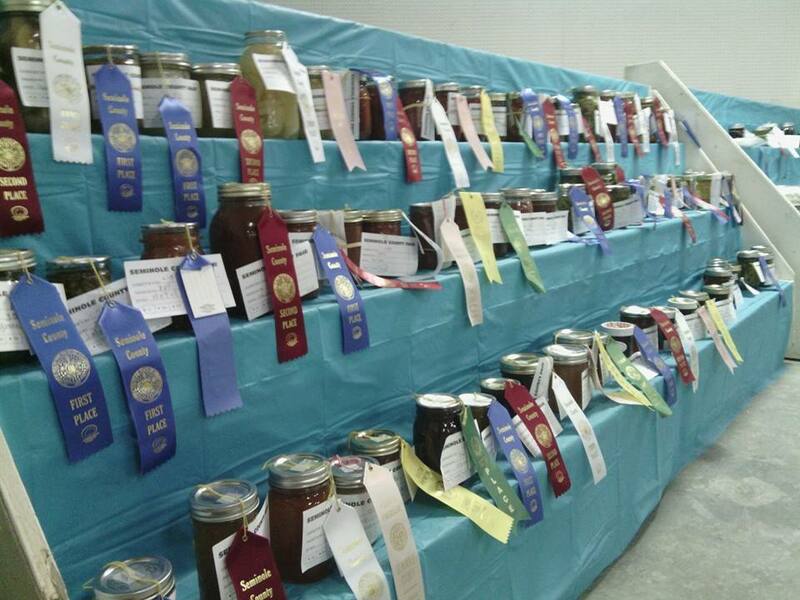 We hope to see your entries at this year's Seminole County Fair!